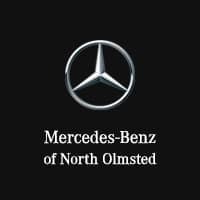 Here at Mercedes-Benz of North Olmsted, we strive to provide the absolute best in customer service. Whether you’re consulting with our expert service technicians, member of our sales staff, or an expert at our AMG® Performance Center, we work to create a professional atmosphere and ensure that each customer feels happy and confident about their vehicle. But don’t just take our word for it– browse our video gallery below to hear from a few of our clients and discover the benefits of choosing Mercedes-Benz of North Olmsted. If you have questions about any of the services and amenities we offer, feel free to contact us, and a member of our staff will be happy to speak with you. Or, make the trip from Avon to visit our dealership in person, and experience our world class amenities and customer service for yourself.